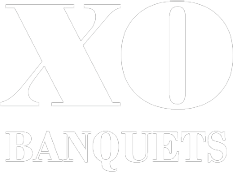 Welcome to XO Banquets, where fine dining, fabulous entertainment and elaborate surroundings await you. Experience the kind of service and amenities you would expect from the finest in Russian, Polish, Jewish and Ukrainian banquet hall and restaurant facilities. Our warm hospitality will greet you and help you create the most memorable moments, spectacular events and joyful occasions. Our goal is to provide an experience that will be remembered and cherished. Whether you are celebrating an intimate event or having a large gala, our atmosphere and ambiance will enhance your event with a gourmet menu, enjoyable live entertainment and the most gracious service you will experience anywhere. Our portfolio of room décor and design will please even the most particular of tastes. Join us for your special events.Our exceptional presentation will add to any wedding, anniversary, birthday or holiday celebration. Our Toastmaster and Master Of Ceremonies can assist you during your parties or dinners and add that special touch to your affair.